Merseyside hero Prowse counts the late Radio 1 DJ John Peel among his fans and, with Pele and Amsterdam, has seen success all over the world. But, the acclaimed musician has never played to a Northumbrian audience – until now, that is. 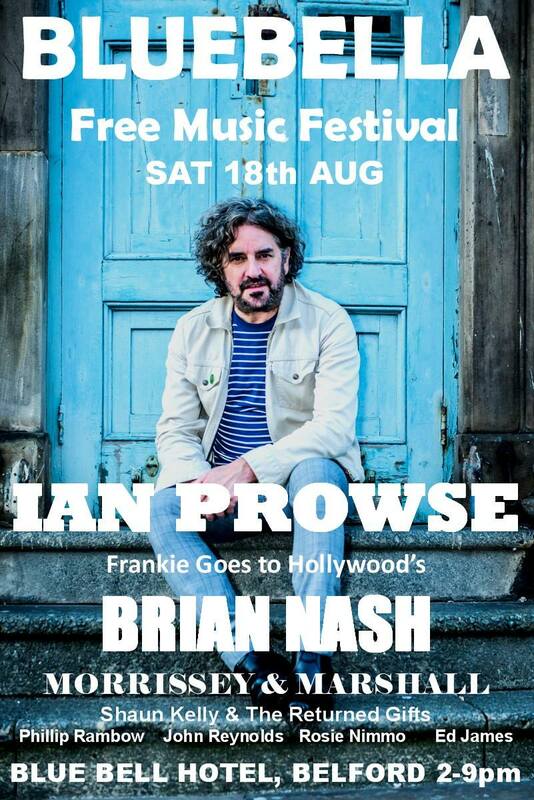 As if the opportunity to see one musical legend isn’t enough, festival-goers will also spend their afternoon in the company of Frankie Goes to Hollywood’s guitarist, Brian “Nasher” Nash. An iconic 80s band, Frankie Goes to Hollywood have enjoyed worldwide fame thanks in part to their UK smash hit, Relax, which hit No 1 on the UK Singles Chart in 1984. The Bluebella Music Festival is taking place at The Blue Bell Hotel, and crams seven hours of music alongside a family chill out zone, festival food, an outside bar, and even a bouncy castle for the kids. Accommodation, including dog-friendly rooms, is also available for those wanting to make a memorable weekend of it in the beautiful Northumbrian scenery. Where does Bluebella Music Festival take place? The FREE Festival starts at 2pm on Saturday 18th August and runs until 9pm. Why not make a weekend of it and book a room at The Blue Bell Hotel? Dog-friendly accommodation available!